The key to any great bedroom is to have a beautiful bed that matches or at least stylishly corresponds to the surrounding bedroom furniture. The focal point of your bedroom is the bed itself, so take the time to consider your preferred style. Beds range from classic to modern, so investigate all the possibilities. 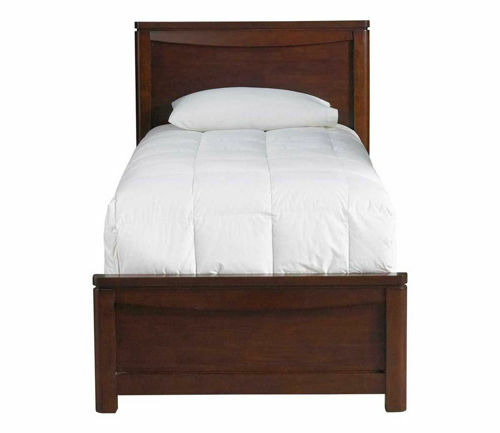 For instance, are you looking for a bed with rounded, handsome lines? 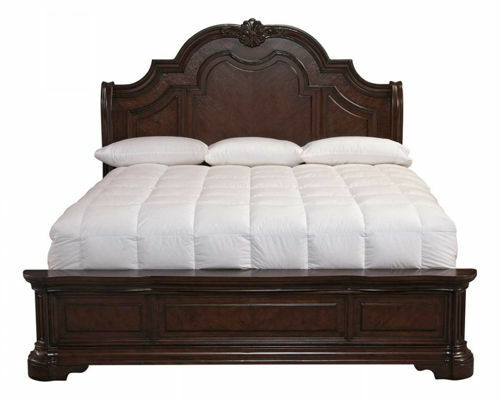 A sleigh bed will perfectly complement your space and give you a beautiful piece of furniture to enjoy day after day. We also offer bedding options in a variety of sizes including Twin, Full, Queen, and King. 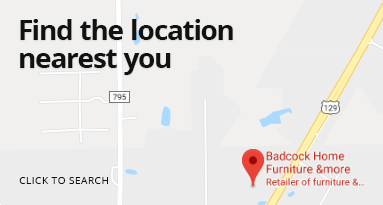 Remember, Badcock also provides mattresses and box springs to quickly complete your bedroom upgrade and transform your space into a tranquil retreat from the day’s cares. Not sure you want to pay for your bedroom set all at once? Consider financing with us. 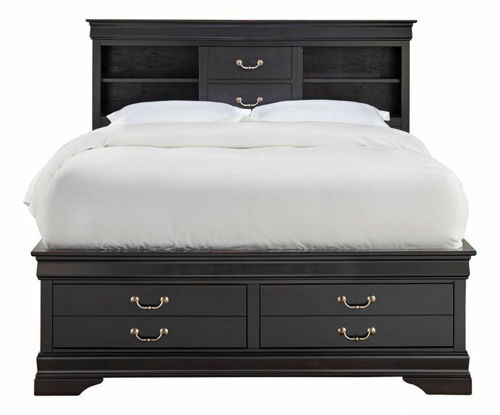 Fall into tasteful comfort every night with the classic and timeless Belmont King bedroom set. Featuring an arched headboard with intricately detailed carvings and square finials, this set has a unique, traditional style available in a rich dark cherry finish. This piece will elevate your bedroom’s style to a whole new level. Fall into tasteful comfort every night with the classic and timeless Belmont Queen bedroom set. 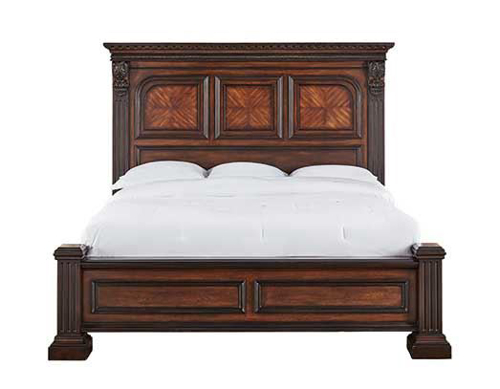 Featuring an arched headboard with intricately detailed carvings and square finials, this set has a unique, traditional style available in a rich dark cherry finish. This piece will elevate your bedroom’s style to a whole new level. The pared-down chic aesthetic of this king sleigh bed will bring elegance to any décor for years to come. This transitional bed is constructed of Okoume wood fronts and select Asian hardwoods and finished in sleek black, giving it the perfect mix of exotic flare and traditional shapes to put a little spice back in your bedroom decor. The pared-down chic aesthetic of this bedroom collection will bring elegance to any decor for years to come. This transitional bedroom is constructed of Okoume wood fronts and select Asian hardwoods and finished in sleek black, giving it the perfect mix of exotic flare and traditional shapes to put a little spice back in your bedroom decor. This storage bed features a generous scale sliding door front on the headboard and four full storage drawers on the bottom. Ample storage with an incredible look. Queen and king sizes available. 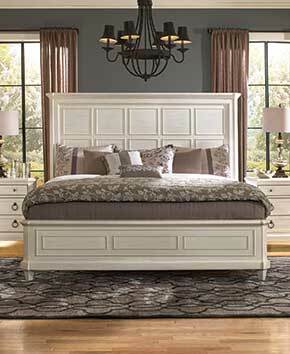 The pared-down chic aesthetic of this queen sleigh bed will bring elegance to any décor for years to come. This transitional bed is constructed of Okoume wood fronts and select Asian hardwoods and finished in sleek black, giving it the perfect mix of exotic flare and traditional shapes to put a little spice back in your bedroom decor. Enjoy spacious rustic style and update your bedroom with a modern, wire-brushed, “chevron” oak veneer bedroom set. Add earthy wood tones to your décor and enjoy the lasting stability of high-quality construction. This classic yet contemporary style will transform your room into a cozy retreat. Sleep soundly in rustic style with a modern, wire-brushed, “chevron” oak veneer bedroom set. Add earthy wood tones to your décor and enjoy the lasting stability of high-quality construction. This classic yet contemporary style will transform your room into a cozy retreat. 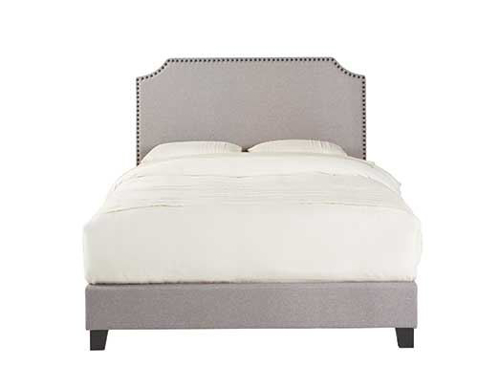 This elegant bed by Bernards has a pewter finish and is sure to dress up any bedroom. You’ll find beautiful ornate details where each part of the metal intersects. The headboard doubles as the footboard. It is available in queen and king sizes. 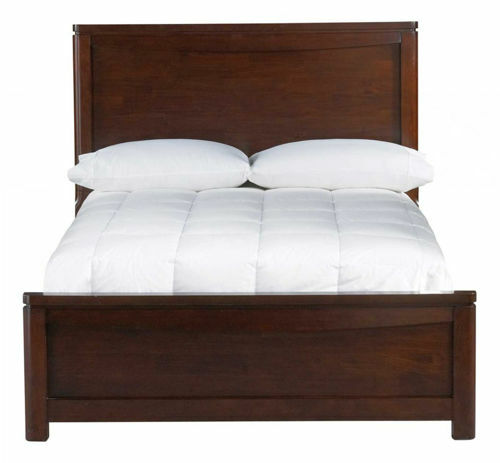 If you appreciate timeless design, you’ll never get out of bed again after you buy this king-size beauty. Solid rubberwood with a chestnut finish, this king panel bed has a laid back style with aged copper accents and a rich wood grain. 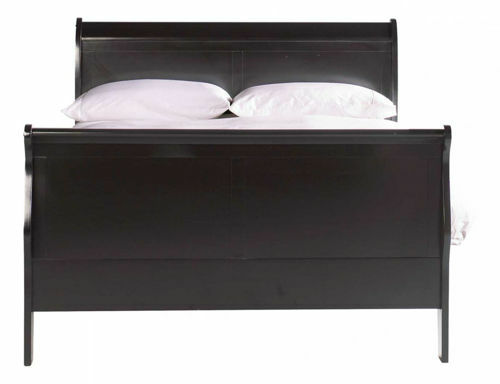 The footboard also has a storage option, offering increased functionality to such an aesthetically pleasing piece. Stunning, sophisticated and versatile, our Diplomat Collection fits right into to any design scheme. With sleek features, like rich, retro-looking finishes on the solid wood drawer pulls, it’s perfect for bringing a bold, distinguished look to your bedroom. Generous storage features only multiply your convenience with the queen or king storage bed.